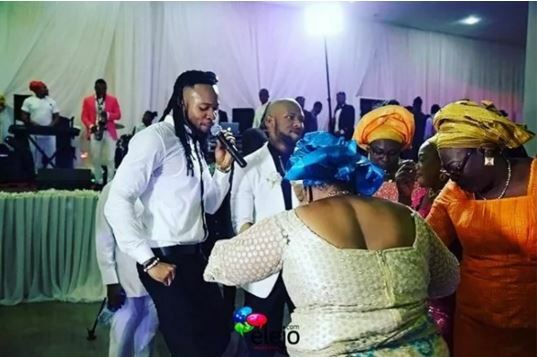 After denying having a secret wedding with his first baby mama and ex-beauty queen Sandra Okagbue, popular music artist Flavour was spotted attending the same event with her. 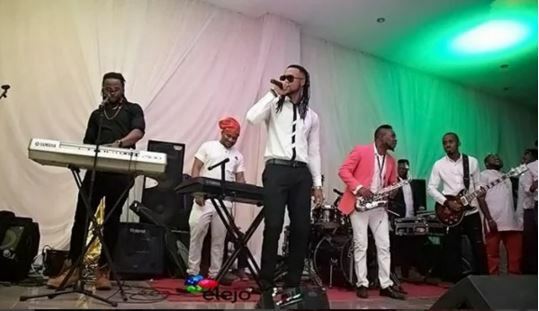 The lovebirds were seen together on Monday, January 4, as flavour’s manager Ben Omesite officially tied the knot at the Holy Trinity Catholic Church as they proceed to the reception at the Golden Royal Hotel, also in Enugu state. 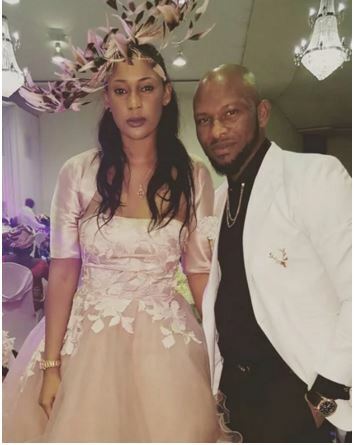 However, contrary to many speculations that the highlife music star and his first baby mama Sandra Okagbue, were getting married it was also reported that the music star had paid her bride price and thus, leaving his second baby mama and ex-beauty queen Anna Banner. 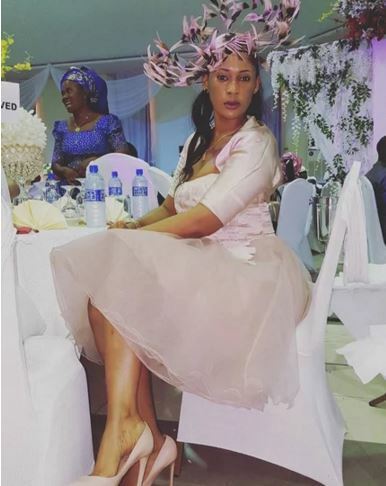 As Sandra Okagbue was busy taking her lovely pictures in a cute light ping ball gown, her beau and baby daddy was on stage doing his what he enjoys the most. 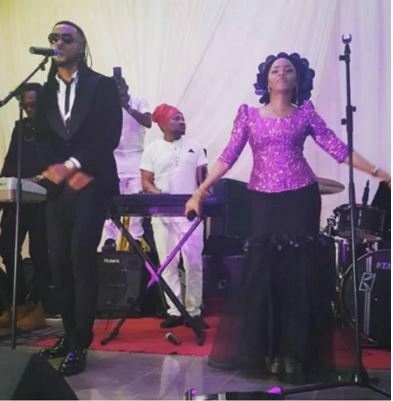 Also present at the wedding was one time MTN Project Fame winner, Chidinma who performed a track with Flavour. 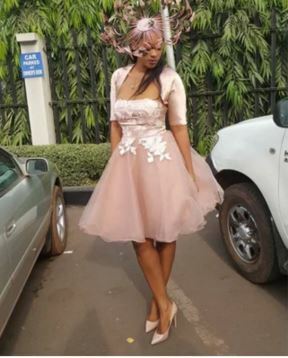 On Monday, January 3, the highlife singer and former Most Beautiful Girl In Nigeria (MBGN), beauty queen, Anna Banner once again dedicated their daughter in church because Flavour missed the first baby dedication. 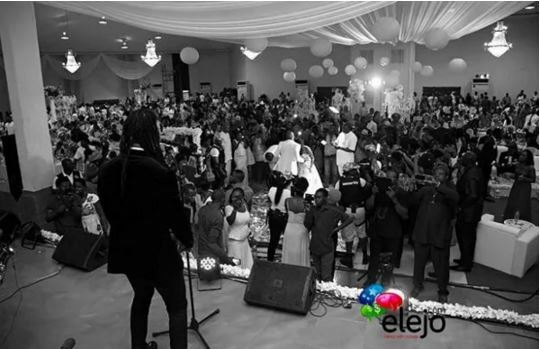 The celebration was well attended by close friends of the lovebirds. Kim And Kanye To Divorce ?